Karakal for a Perfect Shot! In terms of technique and make, sports gear has evolved a lot since the early days and keeping in mind the requirements of the modern day sports persons, Karakal has come up with possibly the best equipment of all times. Inspired by the animal by the same name, Karakal looks to incorporate features like firm design, smooth look and light make facilitating the agility of the player. With state of the art rackets and other sports equipment, Karakal’s ethos stands for quality and value for money. The brand specializes in sports equipment and aims to keep evolving through the needs of the games. The best squash rackets need to have wider heads for better hit possibilities, must have enough weight to be able to hit the ball well but must be light enough to enable faster movement of the player, must have stiff strings to enable accuracy and must have a firm grip. 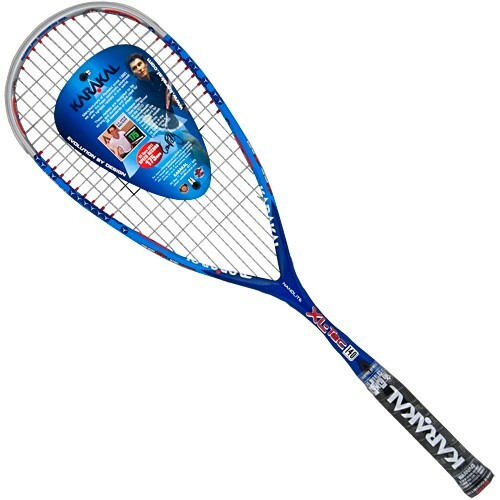 Karakal squash racquets have all the above mentioned features and are the right choices for both, the newbie of the game as well as the most accustomed players! 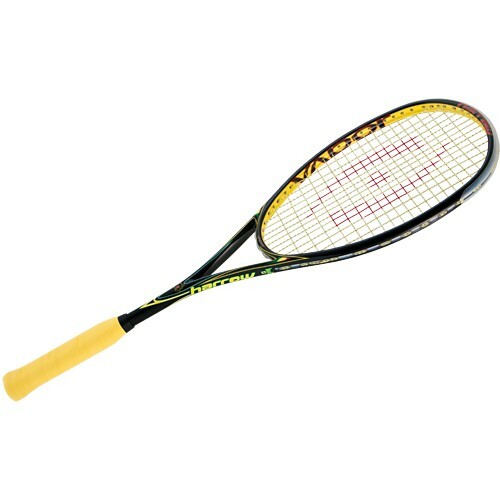 In an attempt to not distinguish between their buyers, Karakal squash racquets are priced reasonably. Coming to squash shoes, there are a few features that a player looks for. They must not mar the surface of the court and must be light-weighted. One of the most important features to be checked for is the fitting of the shoes. A slight problem in the fit and it will lead to slipping on the court during the quick movements that squash requires. Karakal keeps in mind all the dynamics of the game and develops squash shoes with fit as good as custom made and as light as feather. The highlight feature of Karakal squash shoes is their tread, which is varied and provides the customers with a lot of options to choose from. Different players prefer different styles of treads to avoid slipping and to allow pivoting movements on court. Therefore Karakal squash shoes are every sport person’s dream buy and have a market in more than 40 different countries across the globe. If you are looking to buy the best squash rackets or the best shoes to suit your game of squash, Karakal is the brand you need to search about! With a wide range of products and prices to choose from, this is a firebrand that aims to reach the stars and much more!! I played my first real squash game a month ago. I’d heard of the game in college but I had no idea how to play. My husband and I headed to the gym with borrowed squash equipment. It was a little confusing to me at first. I didn’t even understand the squash balls, they’re practically dead and you have to roll them under your feet to warm them up. Overall, the game is like racquetball, with a few different rules and that non-bouncing ball. I really enjoyed that first experience and have tried to play regularly to this day. One thing I like about this game is that it moves very fast and is a really good cardio workout. It does not feel like a workout because you have to focus on the strategy and tactics of the game. It did not take that long to learn how to play squash, by the end of our first session I had it down pretty well. It was not long before I went ahead and bought squash equipment and balls of my own. As a beginner, I used squash balls that had a lot more bounce in them but I have moved on to a more challenging, firmer ball. There are different levels of bounce in the different styles of squash balls which helps make the game easier for those with less experience. It is a lot easier to play with someone about your same skill level or a bit better who uses the same equipment as you. The game becomes very challenging playing a highly skilled player and using their balls with less bounce. One thing about squash equipment I learned is that goggles are almost imperative. Eye protection should be a top priority considering the swinging rackets and speed of the ball. You will get in the other players way and you will swing the racket close to each other. With a few precautions though, the game is as safe as any other pick-up sport. I would absolutely recommend this sport to anyone interested in trying something new. At least ask someone who plays to let you join in a squash game. It is a great workout, is quite strategic, and is inexpensive to play. Best of all, you can burn up to 1400 calories in just one hour! It may take a while to get really good, but it does not take long to learn how to play squash. Health is important to all of us. It’s especially important if you’re involved in sports like I am. I try to make sure I’m doing everything I can to stay in the best shape possible. That, of course, includes eating my veggies and getting plenty of fiber in my diet. However, I won’t be writing about veggies today, even though I am writing about squash. And I won’t be focusing on the fiber important to a balanced diet, either. Today I’m going to be talking about a different sort of fiber, and if there’s one thing that goes with squash better than zucchini, it’s Technifibre! All you squash players out there already know what I’m talking about. Since the company that makes Technifibre squash strings and rackets was founded, it has sponsored countless squash players. It is known for making Technifibre rackets that players depend on. In honor of its contributions to the sport, I’d like to offer a brief history of Technifibre. That’s going to require that we start back in the last millennium. Don’t worry, that only means going back a few decades. It may not be actual time travel, but it will involve some “string theory.” Our journey begins back in the eighties. In 1980, a year after the company Major Sports was founded by Thierry Maissant, a chemical engineer helped the startup company develop a new concept in stringing technology for rackets. It was called the Technifibre string. By 1982, a player with a number four ATP ranking was using Technifibre strings on the court. Major Sports provided their stringing services at the French Open in 1988 and have done so every year since. Eleven years later, in 1999, Technifibre strings were voted number one in a string survey by the United States Racket Stringers Association. By 2005, another Thierry makes Technifibre squash history. This time it’s the Technifibre sponsored Thierry Lincou, who does it by maintaining the PSA number one spot all year. Hopefully, we can credit Technifibre with helping to get squash included in the Olympic Games sometime soon. If you’re not using Technifibre on the court, whether for squash or tennis, see what you’ve been missing! Also, don’t forget to include enough fiber and plenty of vegetables in your diet. I personally recommend squash.